Gett: The Trial of Viviane Amsalem , which makes its Bay Area debut on February 27, is a movie about one woman’s quest to get a divorce in a society governed by laws that prevent her from doing so without her husband’s consent. Israel has neither civil marriage nor civil divorce. All such matters are conducted in the Rabbinical Court, which, as the film depicts, puts far more than just one’s marriage on trial. This film, the third in a trilogy by Israeli filmmakers Ronit and Shlomi Elkabetz, has shocked audiences around the world—which is precisely what they had hoped would happen. Their further hope is that it will instigate long-needed legal change. I approached the interview wondering about the legal realities and even more, about what it would be like to be unhappily married and forced by law to keep going back—to have no legal right of my own to divorce. As a couples therapist I heartily encourage couples to put in their best effort to turn their troubled marriages around. Gett , however, takes “keep trying” to new and frightening depths. Q: I’ve seen all three films in the trilogy. While they each stand alone, taken as a whole, they become a portrait of ongoing suffering with no way out. Did you know the whole story as you began the first film or did it unfold over time? Shlomi Elkabetz. Photo by Jason Kempin/Getty Images. We always knew that the story of Viviane was the story of one woman seeking liberty. The first film, To Take a Wife (2004), is the story of Viviane looking for liberty within herself, asking herself “Do I believe that I can be free? Is it possible to be free?” It is an internal dialogue within Viviane, in her own house. The second film, Seven Days (aka Shiva , 2008), shows Viviane within her extended family. When we wrote Seven Days we knew what Gett was going to be about. First we had Viviane and herself, then Viviane and her family and society, and then Viviane and the law. Viviane is never stuck. She is very progressive. She is always going forward. She’s smart. She has a goal. Q: Living in a country where divorces are not contested, where spouses can divorce without having to declare “grounds,” I didn’t imagine that in a country like Israel, a woman couldn’t get a divorce if she wanted one. I found it very shocking. Were you shocked as you did your research that the situation is as horrible as this? Is this common knowledge in Israel or were your audiences shocked, too? A: It’s a strange thing. We talk about this a lot, Ronit and I. How come no one ever, in the history of Israeli cinema or Israeli culture, dealt with this problem? We all know it exists. We know these women. They walk among us. Women who were refused, who can’t get a divorce because the husband left, or ran away, or doesn’t want to say yes. It’s something that Israeli society has managed to put under the table. Under the carpet. The more we got into it, the more we learned, the more we were amazed. You know the courts in Israel are closed. You cannot wake up one morning and say, “I want to see a divorce trial.” You cannot enter the court and see the proceedings. You can go and see a murder trial but you cannot watch a divorce trial. So this whole thing has been kept under anonymity. Nobody knows what goes on. For the Israeli audience, for those who have never been to this court, it was truly shocking. For those who have been, it is so familiar, so accurate. “It’s impossible that you were never there, that you never got a divorce,” people said, since what we show is what really happens to people. When people see the movie, their reactions are extreme, they’re radical. Q: So it’s a secret in your country, an open secret. A: Exactly. I would say that the film is a key. The Israeli audience got handed a key to this locked room. Q: I understand that the Rabbinical Court will view the film. Did you hear anything about their reaction? Was this one of your hopes in making the film, or was this a surprise? A: It hasn’t happened yet. It’s going to be screened in the next few days. We have been waiting for this. It’s going to be interesting. You know people in Israel have been trying to change the law. But they’ve never even managed to make it through the first reading at the Knesset, the Israeli Parliament. This is the first time those Rabbis are going to see their own court from the point of view of a woman. In fact, it’s the first time that they are going to watch a film of any sort! I think it’s going to be mesmerizing for them to watch the court in a movie, to see themselves, to be observed and perceived by someone else. The film has a strong image. This image is going to stay with them. I can only imagine the judge rabbi going to court the next day after he’s seen the film. To see this representation, in art, about your own world—there would have to be a change in perception. The film has been on every possible media for the last five months almost in a daily basis. The issue is now public. It is a miracle. It is a story on the go. I think a very interesting dialogue is going to happen. Q: As I’ve thought about the characters. I’ve wondered about Elisha and his stubborn refusal to acknowledge the misery of his marriage, let alone grant a divorce? Did he really believe his marriage was good, that he was a good husband? What do you think caused him to be so in denial, saying again, and again that his marriage was good? You have to remember that Elisha and Viviane are immigrants. A few years before To Take a Wife , they arrive in Israel, a so-called democratic society, a new modern life. They come from a place where tradition was the law. To enter that new world you have to change the color of your skin, you have to change the rhythm of your heart. You have to become someone else. Elisha doesn’t have the ability to become that man. He was brought up in Morocco. He cannot now, in one minute, become a liberal man. He never saw it. He has to reinvent himself. Q: And he is a very rigid man. A: Yes, he is a very rigid man. So he cannot do it. In the end of To Take a Wife , he understands that one day he is going to have to let this woman go. But it takes him another eighteen years to accomplish the execution of this understanding. Q: So it’s not so much that he feels revenge or that he’s grabbing power. A: The law enables him to act this way. He grabs the power to protect himself, not to take revenge. If I directed this thing and made Elisha a bad guy, the film would not have been complex. It would not been interesting. It would have been very stereotyped. W: Gett is quite powerful as a stand-alone film. I realized as I watched it that in the end I knew very little about why Viviane was so unhappy, though, when I went back to the earlier films I got a more complete story. My view of the marriage was as limited as that of the judges who were there to make a determination. Why was so little revealed? Is that typical in these trials? A: Viviane comes before the court and says, “This man is not good for me. He doesn’t like me. He doesn’t know how to love me. I don’t love him and I don’t want to stay with him.” That should be sufficient. As a free person in the free world she is supposed to have this right. Viviane does not want anything extravagant. What she wants is intimacy. What she dreams of is intimacy and she cannot have it with this man. She says it herself, he’s a good man, he’s a good father, but he’s not a good man for me. Another thing is this. Who can really tell what is happening inside rooms? We bring in all these witnesses to emphasize that. They all say what they think, that he’s a good man, that the marriage isn’t so bad. Nobody can tell the real story of Viviane and Elisha. The real story cannot be told in this court or anywhere, for that matter. We’re not talking about the details of a murder case. We’re talking about a woman who wants to leave home. We’re talking about feelings, what it’s like to be married to someone you don’t love. We didn’t want a reason more than that. We didn’t want to say Elisha is beating her or that he’s cruel. We didn’t want to present reasons why Vivian is right, or why Elisha is right, or how someone is wrong. The essence of Gett is that we are free people in a free world. Q: The statement you’re making in the film is that it doesn’t matter why. A free person should be free to go. A: Yes. We should grant her liberty. And that’s it. There are so many horrible divorce stories in Israel. We didn’t want to tell that story. When you see Viviane and Elisha together in the scenes where they’re talking, you know they’re connected, you know that they know each other. The tragedy here is that one person wants to leave the marriage and does not have the power to do so. Viviane wants nothing except her freedoms. Can we not grant her that? Q: I wondered whether the ban about being with other men was a condition set forth by her husband or is it a part of the law? A: It’s not a part of the law. It’s a deal Elisha is trying to close with her. I don’t believe Elisha thinks he can make her keep her promise. He knows that she’s not going to be with him. He’s looking for a last thread of respect, to be guarded by her in a way that he won’t be shamed by society. It boils down the story of a man and a woman. We have an ex, the ex meets someone, they go together, our heart is torn, our dignity is on the floor, we feel ashamed. In that moment, when Elisha makes his request, it’s between them. Only between them. And that’s for another film. Ronit and Shlomi Elkabetz directing Gett . Q: Yes. That was going to be my last question. I couldn’t help but wonder if we’ll meet Viviane again in a fourth film. To see what she’s like after being free. Should we look forward to that? A: One of the most interesting questions that Ronit and have now is how Viviane copes with freedom. That’s one thing we really want to see. Probably not our next film. But then, after that, we’ll go back to her and see how she’s doing. Q: I’ll look forward to that. Thank you so much for taking the time to talk to speak with me. A: You know, speaking about the film is important. I’m not tired of it. Every time I do it, it’s part of my second action. My first action was as a director of a piece of art. The second part is not less important: bringing the film into the awareness of people, into the conversation, to let the film resonate. You might think of the film as a psychological thriller. But it is not about what happened in the past. It is about what is going to happen in the future. Gett: The Trial of Viviane Ansalem is playing now in New York and Los Angeles and will open in selected theaters throughout the US beginning February 27th, including Landmark Embarcadero Center Cinema in SF, Landmark Shattuck in Berkeley, Christopher B. Smith Rafael Film Center in San Rafael, and Camera 3 in San Jose. 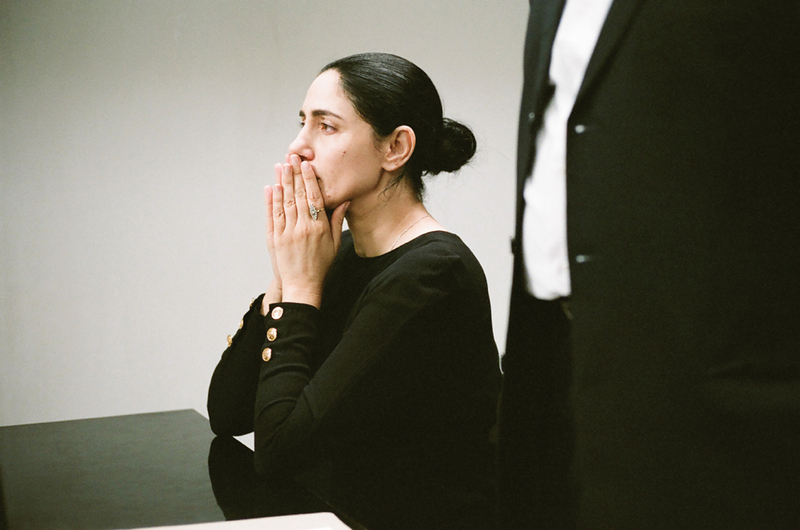 Click here to read Len Weiler’s review of Gett: The Trial of Viviane Amsalem for EatDrinkFilms. Next week in EatDrinkFilms read what a Rabbi from Israel thinks about Gett. You may use our affiliate links from Amazon to get the first two films of the trilogy To Take a Wife (2004) and Seven Days (aka Shiva, 2008). You may also get other films starring and/or directed by Ronit Elkabetz (To Take a Wife, Seven Days, The Band’s Visit, Or (My Treasure), and Late Marriage) by clicking here. Winifred M. Reilly, M.A., MFT, is a psychotherapist specializing in marital therapy and relationship issues, with a private practice in Berkeley, CA. She writes for The Huffington Post and The Good Men Project and is completing a book that explains why relationships are so frustrating and difficult, and shows what couples can do besides throw up their hands or divorce. Check out her advice blog: Speaking of Marriage. 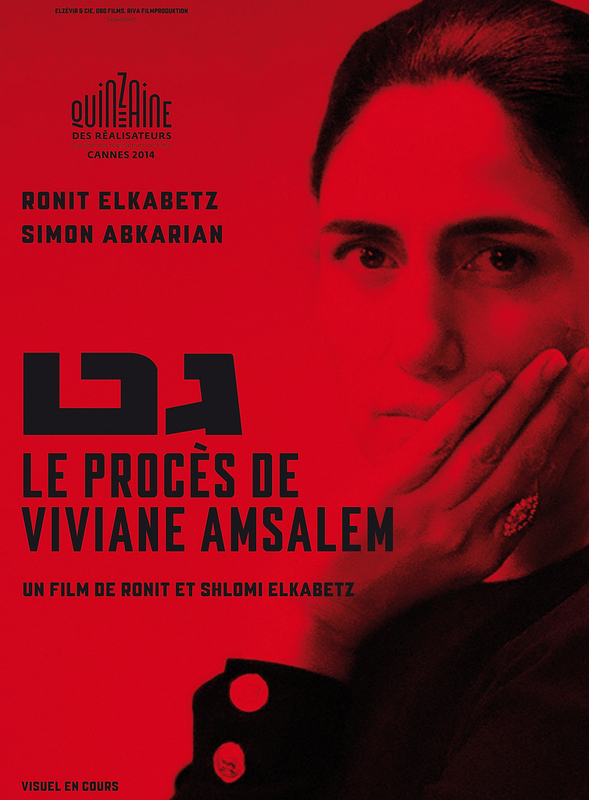 This entry was posted in Films and tagged Films, Gett: The Trial of Viviane Amsalem, Ronit Elkabetz, Shlomi Elkabetz, Winifred Reilly. Bookmark the permalink.